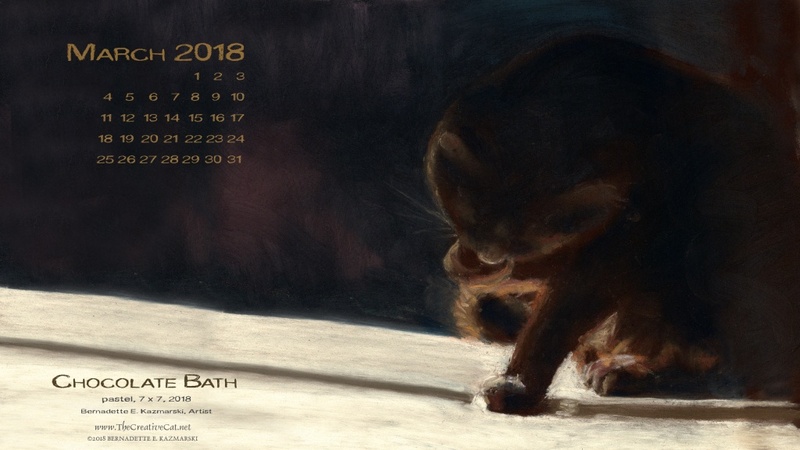 I’d intended these monthly desktop calendars to showcase new as well as existing artwork. This is my painting from Day 23 of the February 2018 30 Paintings in 30 Days Challenge. 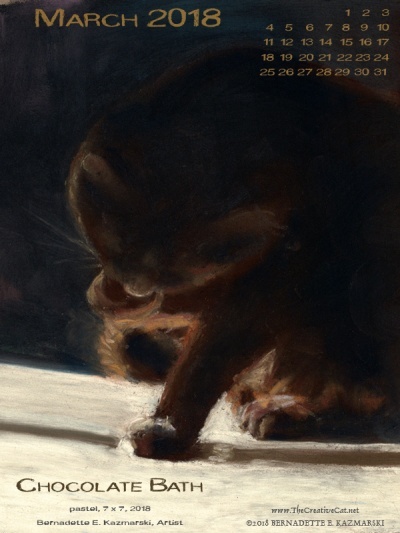 See other paintings in this and other painting challenges on the page Creative Challenges. I love these painting challenges for encouraging me to create new works. 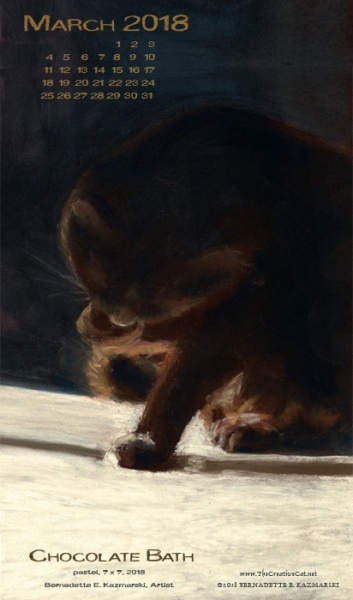 Register for an account on Portraits of Animals and get a free double-matted print of “Chocolate Bath” or choose from several other sketches, paintings or photos of cats and other subjects. 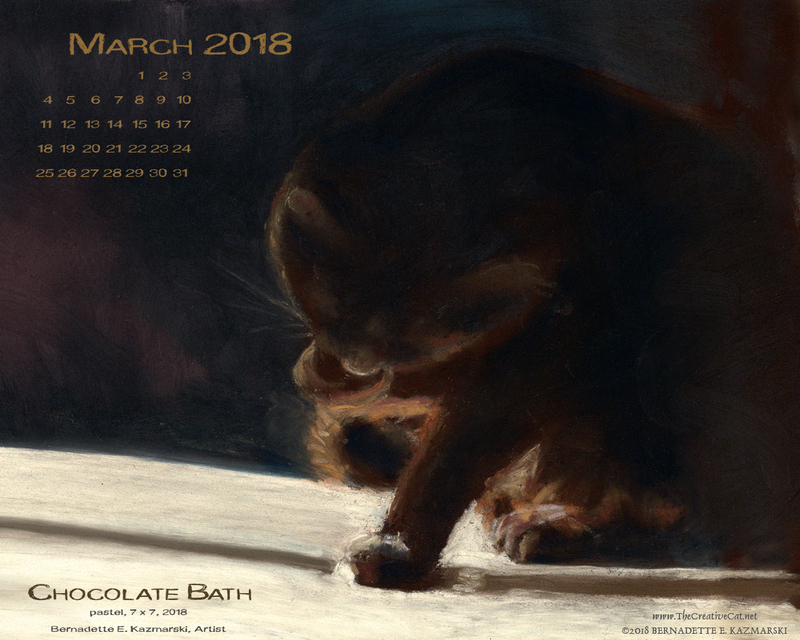 The New Member print is a signed digital print of “Chocolate Bath”. This print is 6.5 x 6.5 matted to fit a 10 x 10 frame. 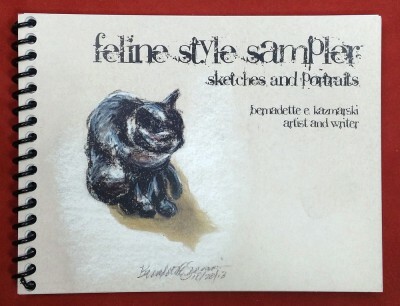 You can also choose a square note card from this artwork as one of the choices in the listing. 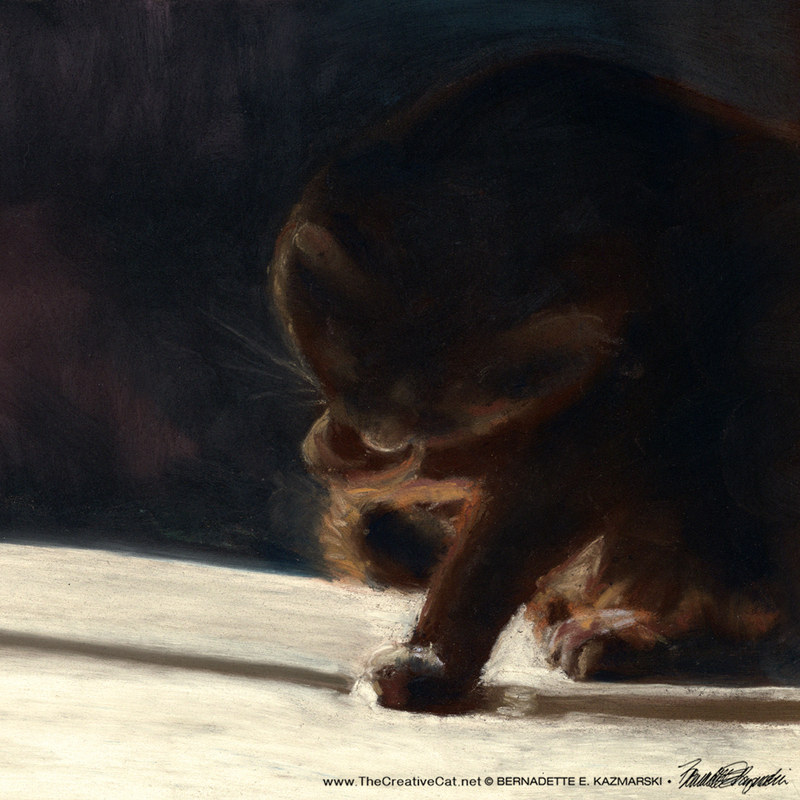 For more art, information and stories featuring cats, visit The Creative Cat.